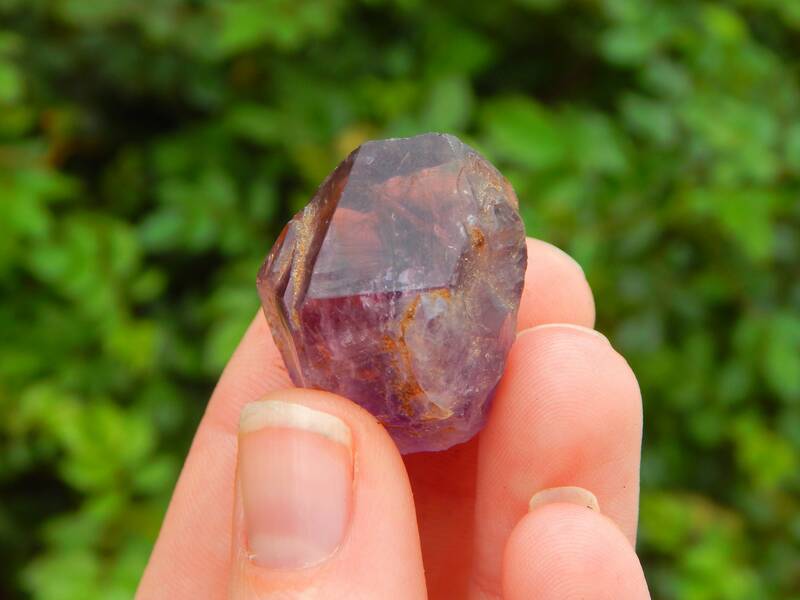 Your choice of one energetic and beautiful Brazilian Amethyst Cacoxenite, which also goes by the trademarked names 'Super Seven', 'Melody's Stone', 'Sacred 7' or 'Super 7'. I do not own the trademarks to these names, and thus have placed them in quotes. 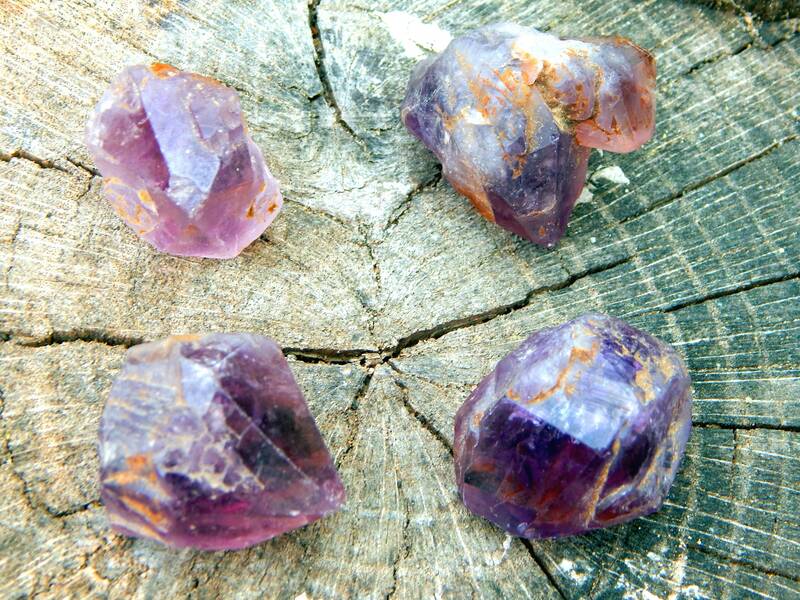 Excellent for reiki applications or any collector. 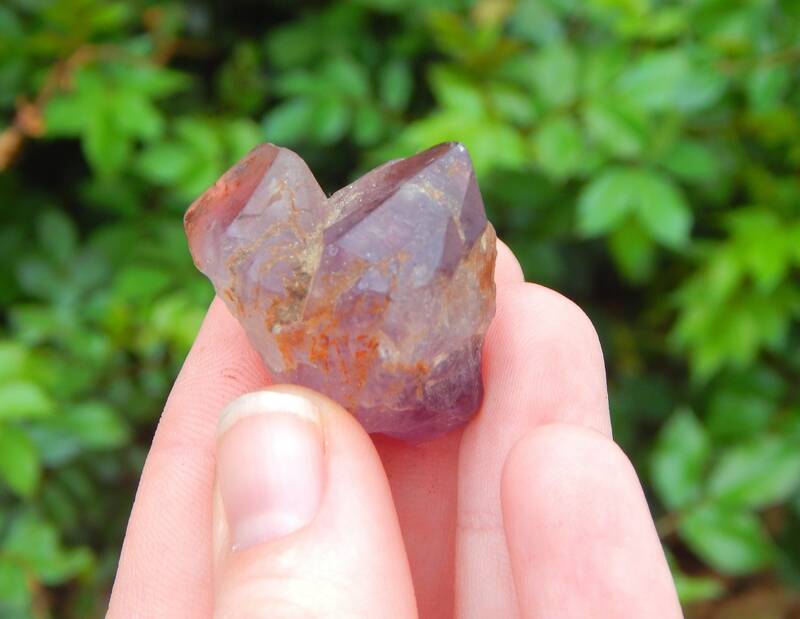 Each specimen is around 1.8 - 2.3 inch in size, size and shape will vary as these are natural stones perfected by the Earth. Specimen A is a twin terminated S7 crystal weighing 19.9 grams, it is shown in the 3rd photo. Specimen B has a large, flat 7 sided face and is streaked with golden Cacoxenite, it weighs 16.9 grams and is shown in the 4th photo. Specimen C has a 5 sided Isis face and a few lovely record-keepers, weighing in at 17.5 grams, it is shown in the 5th photo. 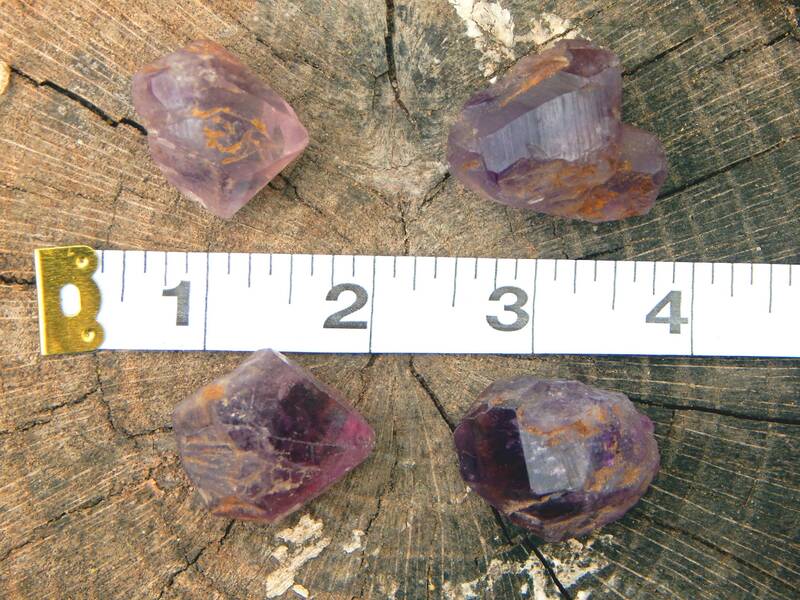 Specimen D is pale purple with large golden inclusions of Cacoxenite, and weighs 13.3 grams, shown in the 6th photo. 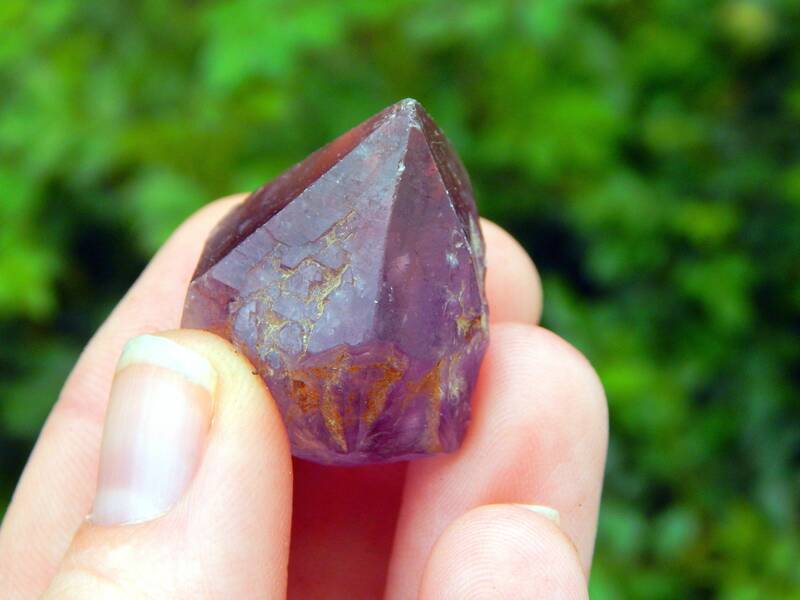 A more amethyst looking crystal point. 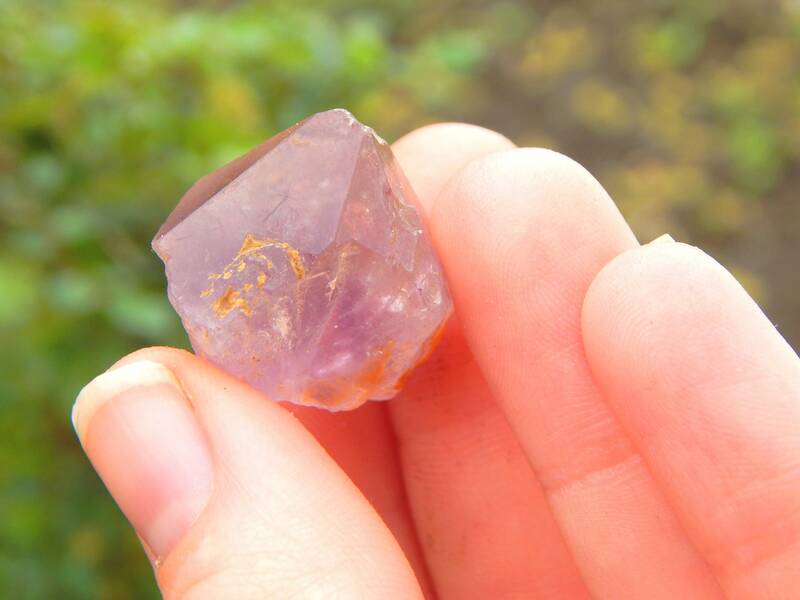 A more amethyst looking quartz.